Alfred A. Loeb State Park is set in a beautiful stand of old-growth myrtlewood trees (some over 200 years old) on the banks of the Chetco River on the southern Oregon coast. The state park borders the western boundary of the Siskiyou National Forest, which offers access to numerous hiking trails in the area. 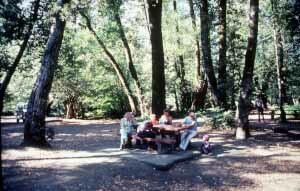 A trail from the park connects with the USFS "Redwood Nature Trail." The northernmost stand of redwoods in the United States is located here. Facilities include 48 electrical campsites, 3 rustic cabins, a picnic area, fully accessible restroom and shower facilities. Campground open year-round. Max RV, 50 feet. Quality experiences await visitors to more than 200 state parks managed for the public by the Oregon State Parks.